This fantastic evening was a culmination of a great Classic Car Parade and entertainment in downtown San Rafael. We raised over $7,000 to be used for local high school scholarships. Please mark your calendars for next year, May 11th 2019! 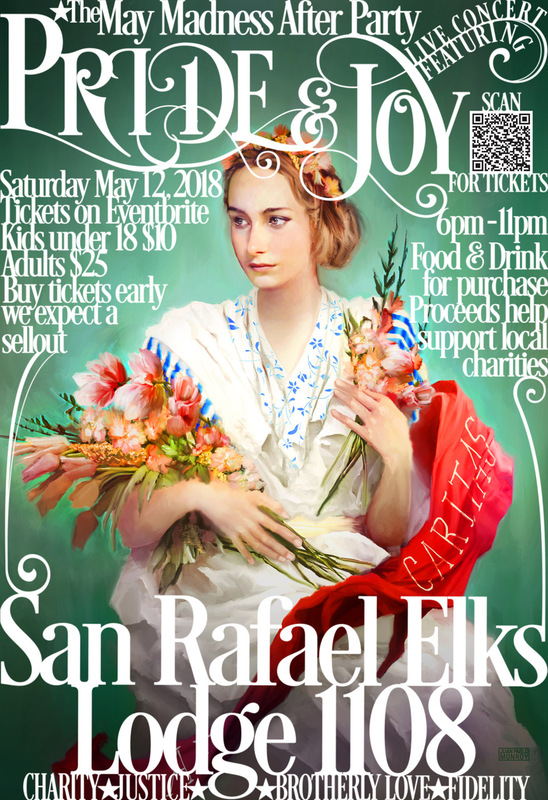 Pride & Joy headline the After Party at the San Rafael Elks Lodge. Walk up after the parade and join the music and dancing to round off a great day of events. Live Music outside on the Terrace! 6 pm - Starts immediately after the Classic Car Parade on 4th Street. Pride and Joy play from 7:30-10:30. Families invited - Kids (Under 18) $10. Food and drink for purchase. Proceeds help support local charities.